Help your students better understand CVC words with this colorful, educational chart. 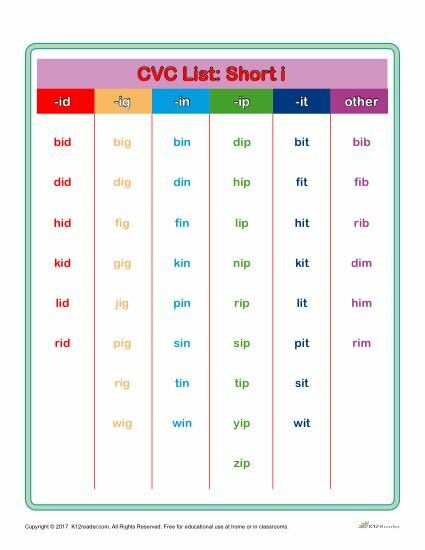 This printable list chart is made up of CVC words with the short I sound, including: dip, dig, nip, kit, pig and more. Students will enjoy having a helpful resource that they can use while studying. This CVC Word List is made easy to print, making it perfect for parents and teachers both at home or in the classroom. Here’s a link to a CVC Word Chart for all Vowels.